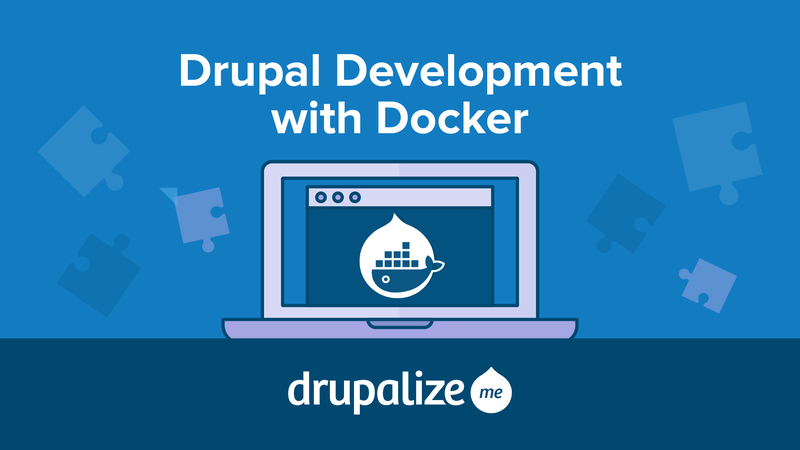 Our Drupal Development with Docker tutorials are written by Tess Flynn, also known as socketwench, a devops engineer who has worked with Drupal for over a decade. She is the author of the Flag module for Drupal 8 and has given sessions at DrupalCons and DrupalCamps throughout the world on Drupal 8 development, Docker, and DevOps. There's more to come! We still have one more batch of Docker tutorials in the works. Also coming soon are Form API tutorials, videos to add to our Automated Testing in Drupal 8 tutorials, a Symfony 4 video series from Ryan Weaver at Knp University, and more Drupal 8 tutorials. See our Guides to explore our tutorials by learning objective or topic or see our recent releases here.